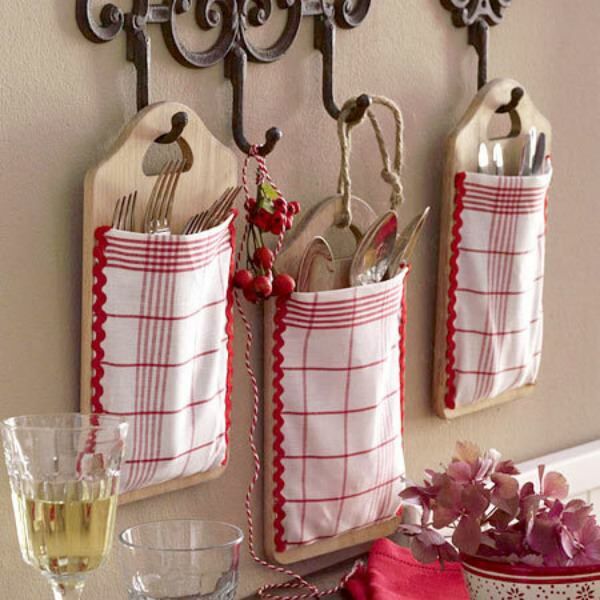 Our featured kitchen organizing ideas project is a DIY cutlery holder by ‘Refurbished Ideas‘. Step by step photos on how to create this! 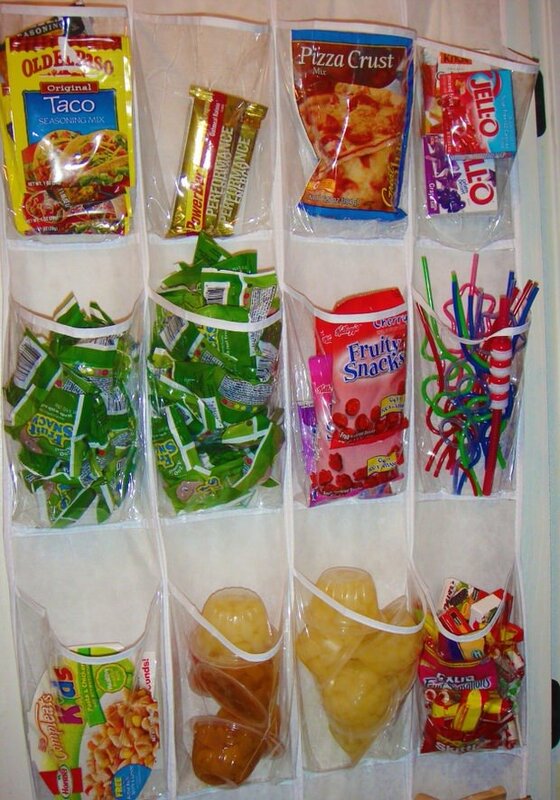 Use old CD racks from the thrift store to organize all those tupperware lids. (Run through the dishwasher first!) From ‘BHG‘. 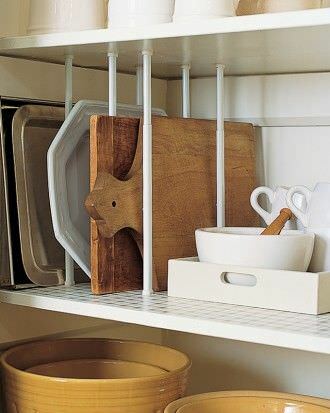 Use spring tension curtain rods to create dividers for large trays, sheets and other oversized plates and platters. 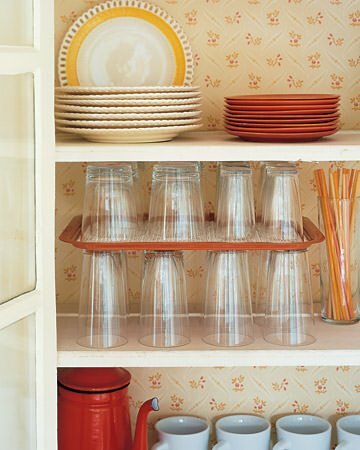 This kitchen organizing idea is from ‘Martha‘. From Money Saving Queen, this tip will help you corral all those granola bars and gravy mix… use a plastic shoe holder over the pantry door. 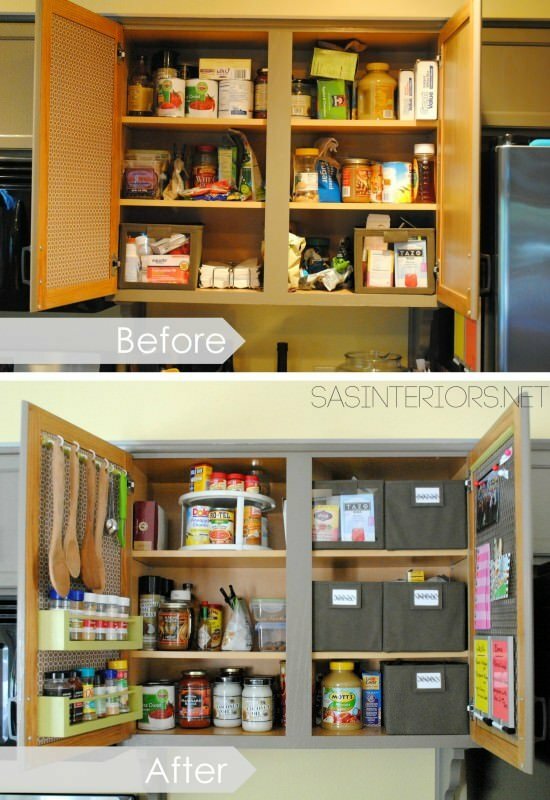 Try this a whole kitchen cupboard organization makeover from ‘SAS Interiors‘. Read her post to find out how she took this before, to this after! ‘Infarrantly Creative‘ made this inside cupboard baking center that makes sure everything you need for putting together that birthday cake is right at hand! 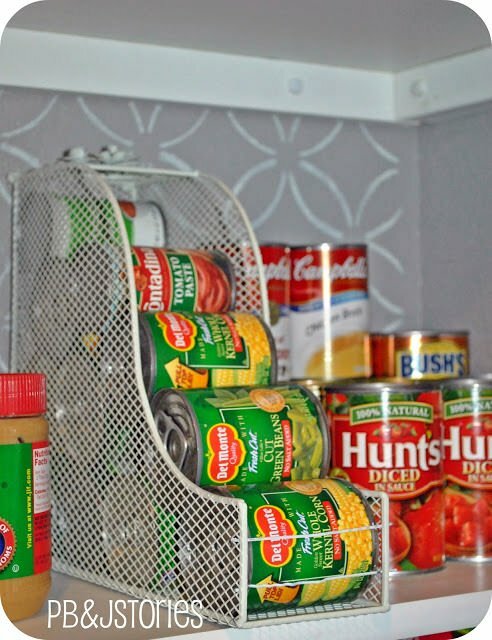 From ‘PB& J Stories’, this is a great small kitchen organizing idea to store your canned goods… a magazine holder! 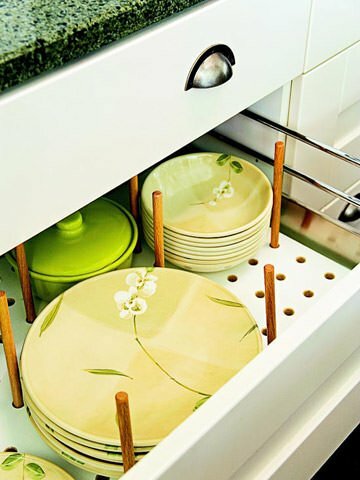 From ‘BHG‘…cut pegboard to fit your drawer, then install dowels into holes to create custom dish storage. Use old serving trays as shelf dividers, doubling cupboard space. 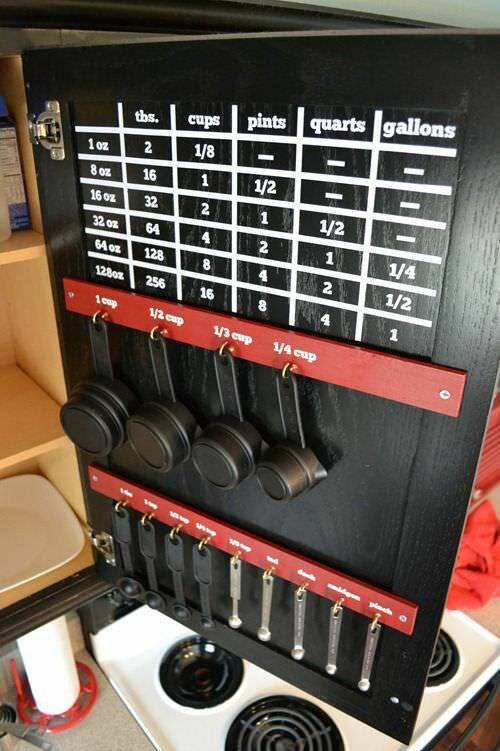 Another kitchen organizing idea from ‘Martha‘. Use plywood cut to size to make a lower cupboard into appliance cubbies. You don’t even have to attach the dividers, just have them cut snug so you can squeeze them into place. From ‘BHG‘. 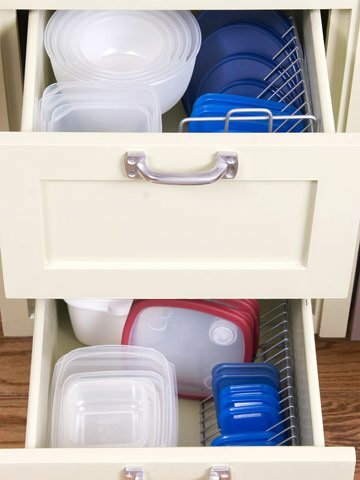 Lastly, let ‘This Old House‘ show you step by step how to make these pull out storage drawers… This is the ultimate in small kitchen organizing! 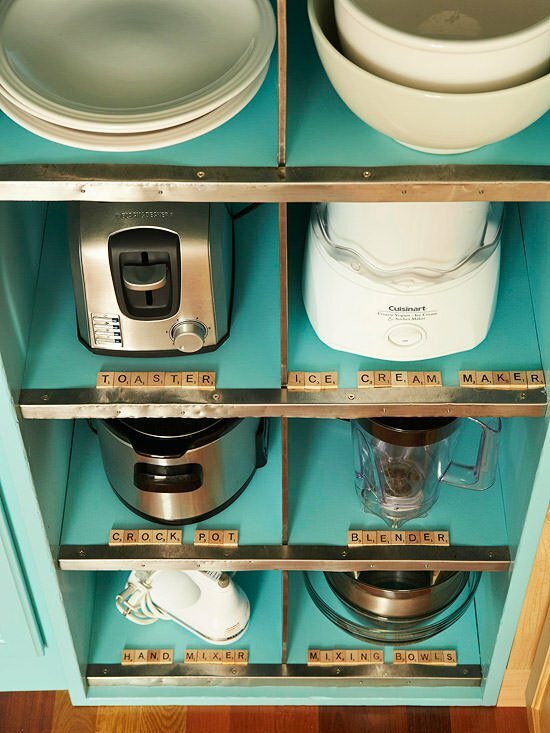 We hope you loved all these great small kitchen organizing ideas! We think you will want to jump right on over to our posts on DIY Kitchen Islands and 7 Steps to an Organized Fridge! Another useful stores for compact storage, is a RV store. 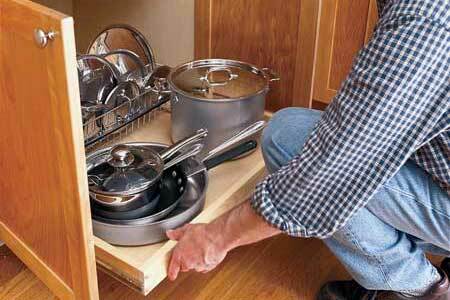 Especially useful is a flat knife storage item.